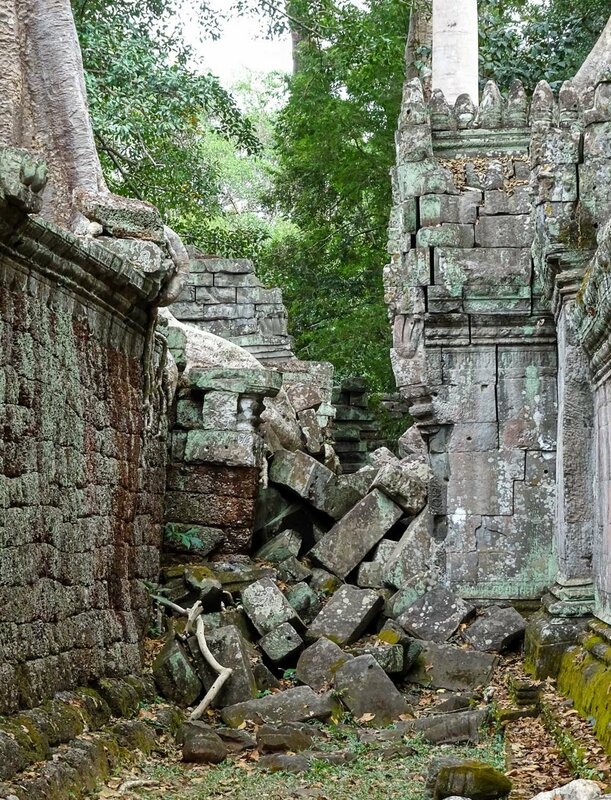 If you attempt to explore the Angkor Temple complex in one day, you're going to have a bad time. 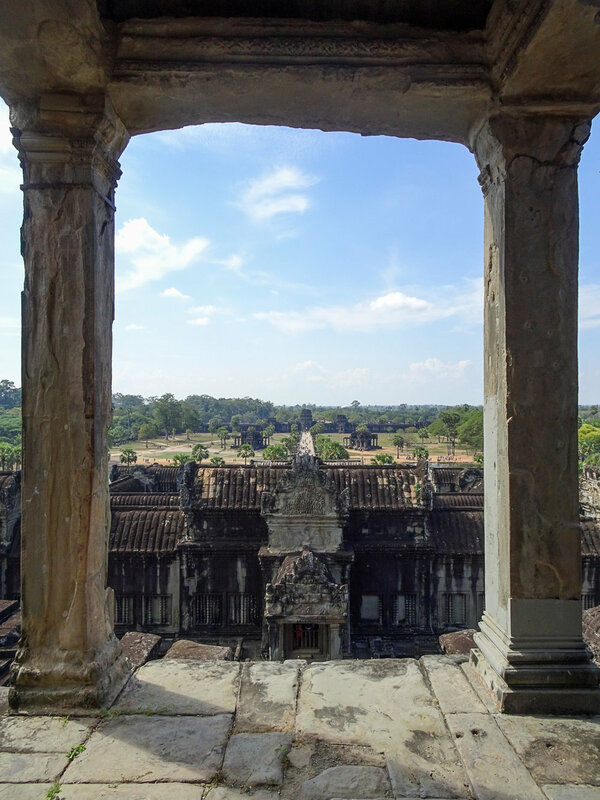 Not only is Angkor Wat (the main attraction) the largest religious monument in the world, but the thousands of temple ruins located around the larger complex could keep you busy for weeks. To get the most out of this UNESCO World Heritage site, we recommend allowing yourself at least 2-3 days to explore. Even with the higher cost of entry ($62/pp for a 3-day pass), the splurge is worth it! 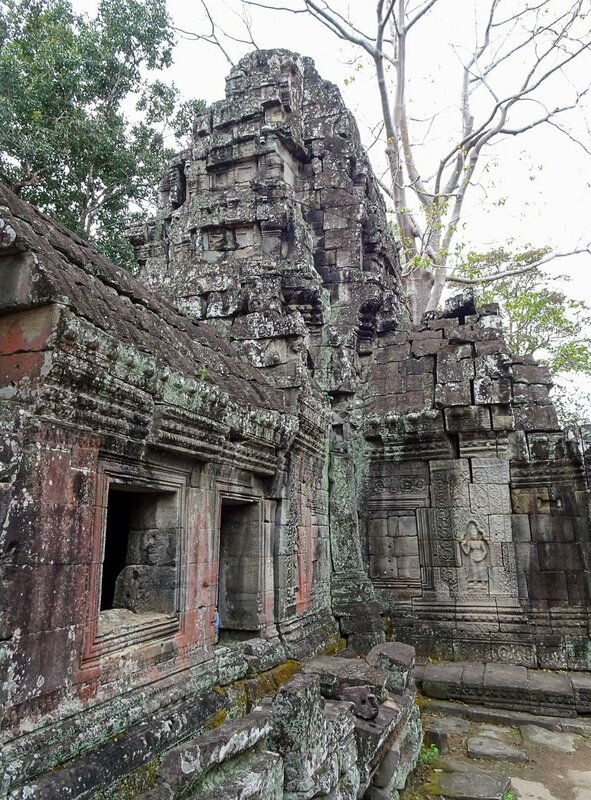 Angkor City was the capital of the Khmer Empire between the 9th and 15th centuries and is considered to have been the largest pre-industrial city in the world. 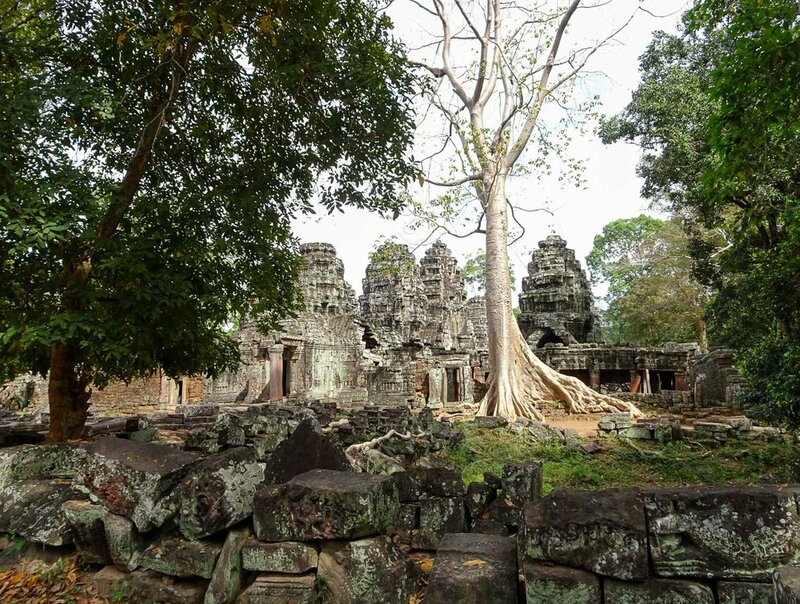 Once home to an estimated one million inhabitants, the entire area of Angkor stretches across hundreds of square miles, with the main temples at its center. We learned that the reason for the abandonment of this "megacity" is not ultimately known, although speculation includes invasions, environment, and religious disagreements. 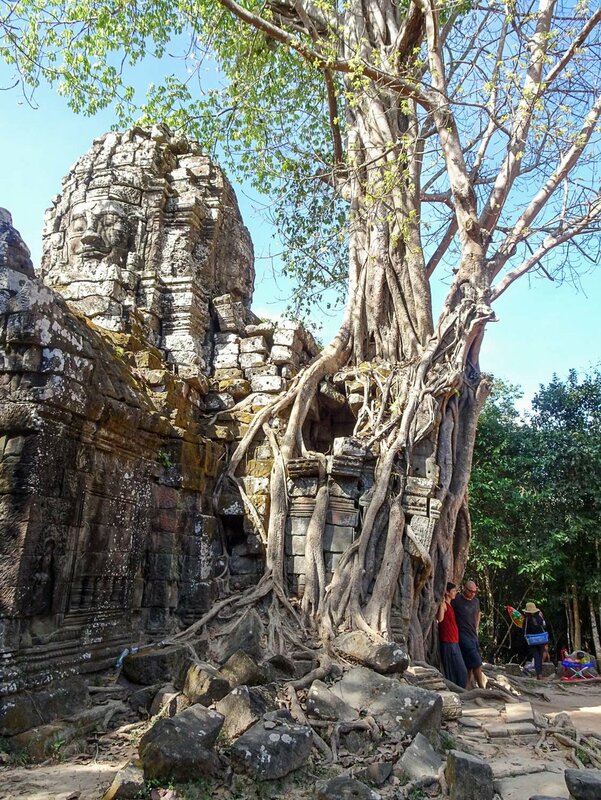 There are several ways to travel from Siem Reap (your Angkor Wat home base) to the Angkor Wat Temples, but we recommend starting with a Tuk Tuk tour. Traveling by Tuk Tuk will give you an idea of the complex layout and will help you cover the most ground on day one. “The Grand Tour” includes five of the lesser-known temples on the outer rim of the main complex. You can book this with your hostel or hotel, or simply flag a Tuk Tuk down and negotiate a reasonable price. As a baseline, we paid $18 for the tour + $5 for a sunset stop. 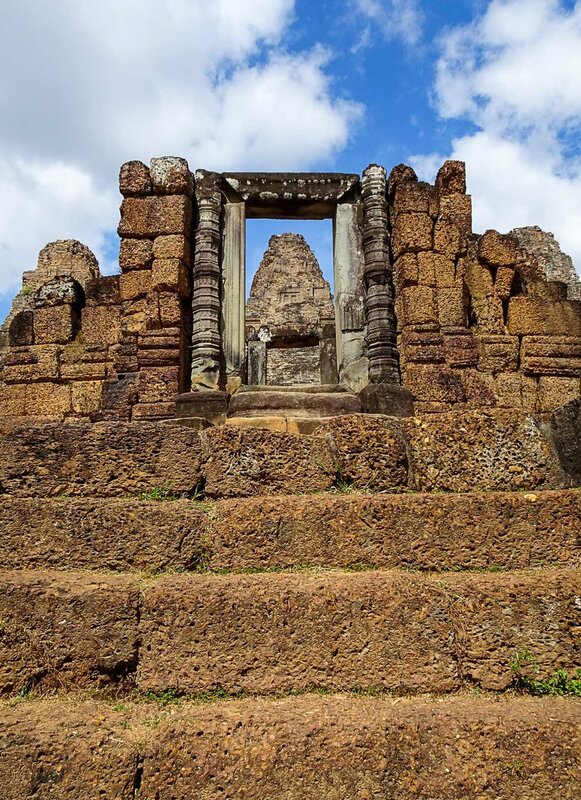 The first stop on the Grand Tour is the towering temple of Pre Rup. This temple is a popular sunset spot so if you want to avoid the crowds, be sure to visit in the morning or mid-day (or in the offseason). 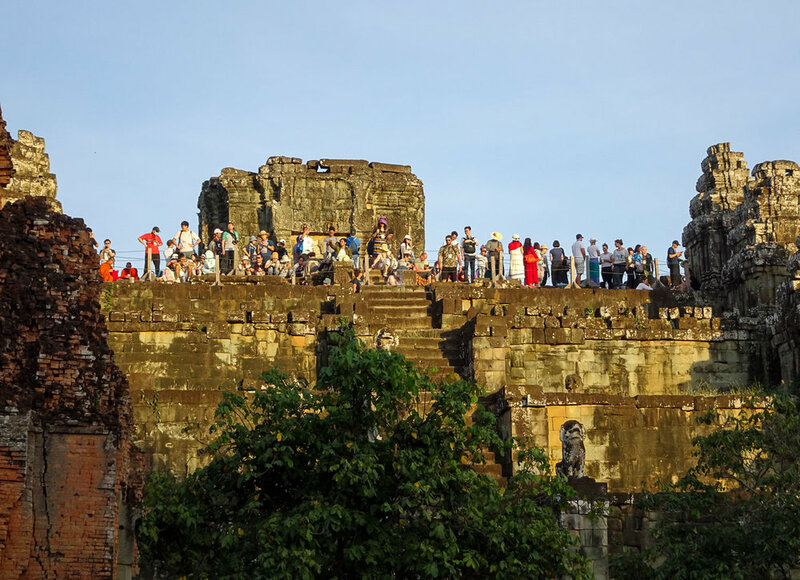 Pre Rup is relatively well-preserved and visitors can climb the steep staircase to the top for gorgeous panoramic views of the surrounding area (which apparently used to be covered by water). 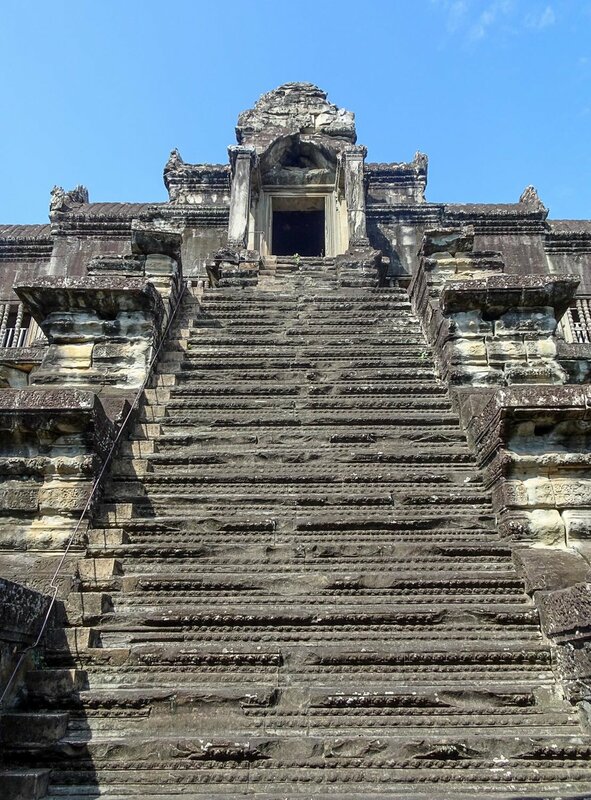 Similar to Pre Rup, East Mebon features steep stairs leading to a central tower on the top tier of the temple. 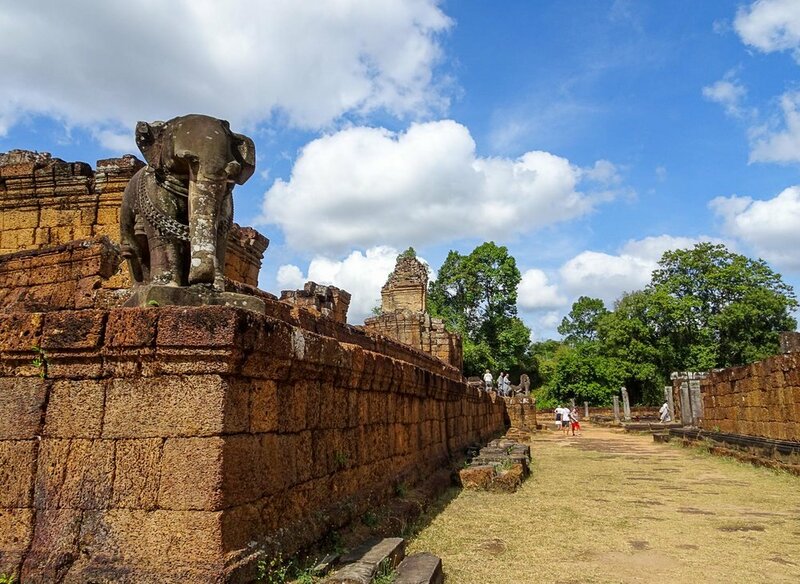 East Mebon is known as “the elephant temple” thanks to the many, often life-size, stone sculptures of elephants around the grounds. By climbing to the top, you can get another panoramic view of the surroundings, which we enjoyed from the shade of the tall tower in the 90-degree temps! We saw this girl at almost every temple we visited - always taking glamour shots amidst the ruins! 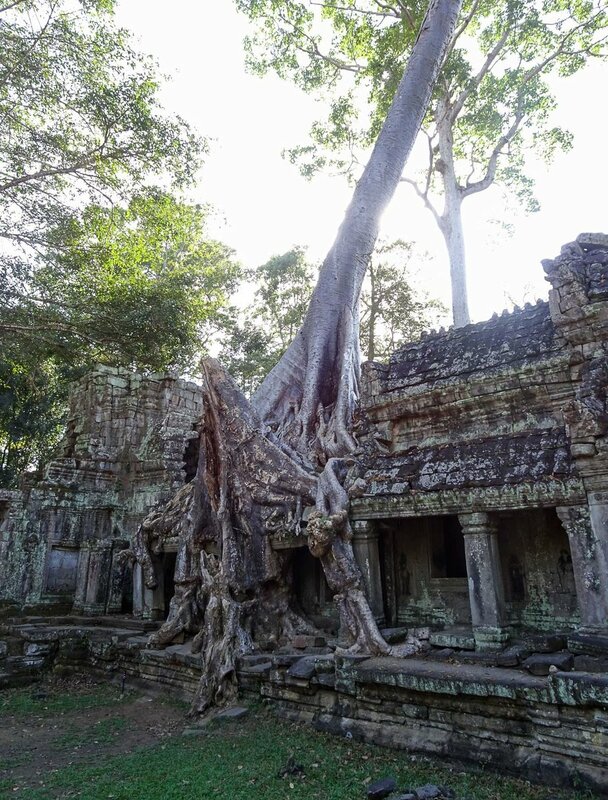 Our favorite temple of the Grand Tour was the overgrown Ta Som. 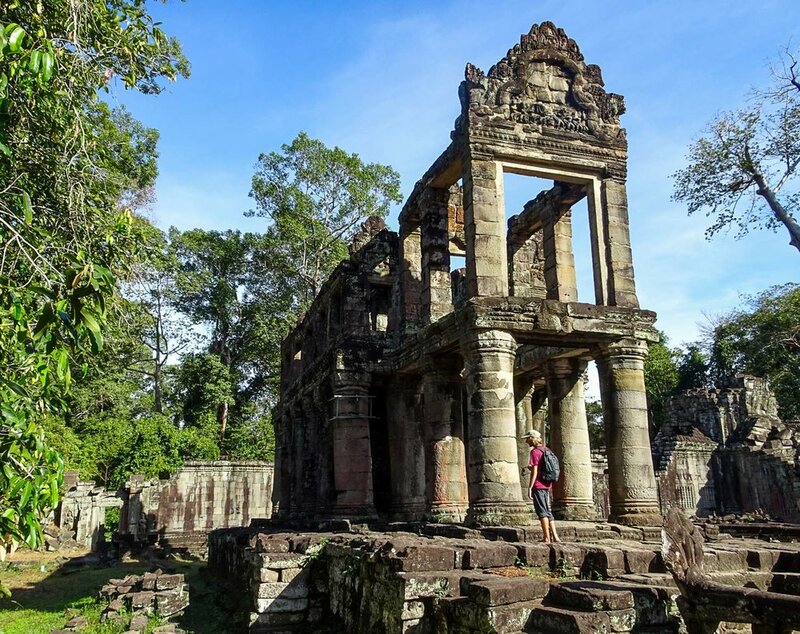 Ta Som was a small temple that archeologists believe was purposely destroyed by Cambodians during an enemy invasion and was never restored. The destruction is evident as you walk the ruins of old walls, towers, and shrines. 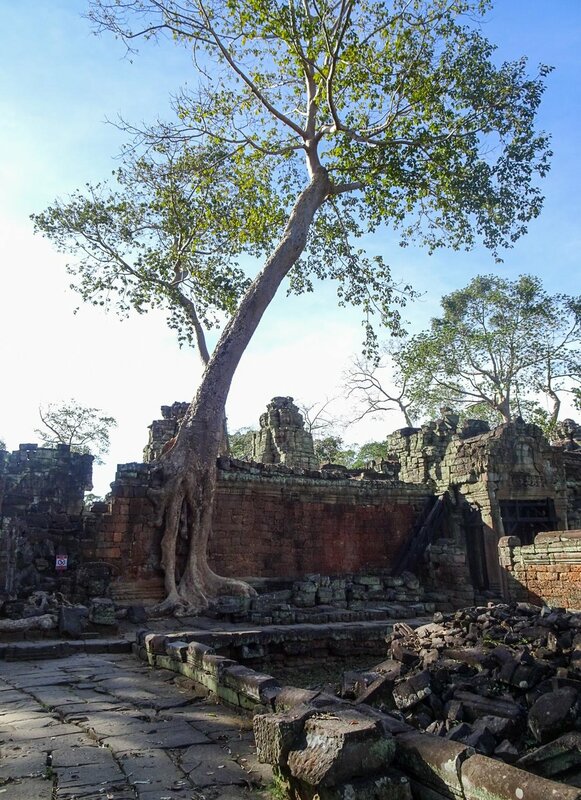 The best part was the east entrance of the temple which has been completely overtaken by the roots of a tree. The kitty who calls Ta Som home! Up next is the stunning Neak Pean, also known as the water temple. Access to the temple includes a walk along a narrow boardwalk that crosses the expansive man-made marsh. This eventually leads you to the island location of Neak Pean, where the main temple is surrounded by a moat and forested grounds. This is the smallest temple on the tour so you won’t need much time here, but it’s a great place to stop for a rest and enjoy the beautiful scenery. The last stop is arguably the most impressive of the Grand tour and will take you the most time. 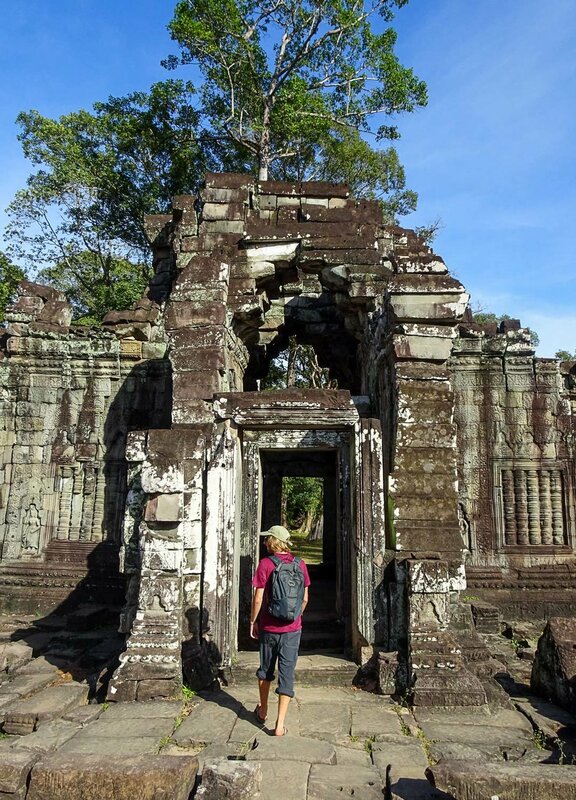 Preah Khan is a huge temple with four separate entrances. Our TukTuk dropped us off at the north gate and met us on the west, which is the most efficient way to explore this gigantic complex. 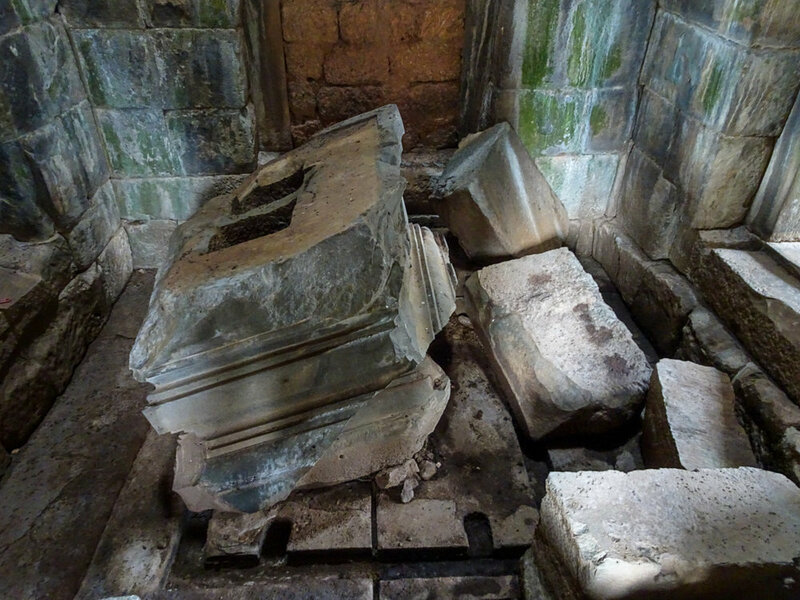 Preah Khan has fallen into ruin with very little restoration efforts (yet) which made for a very surreal experience. 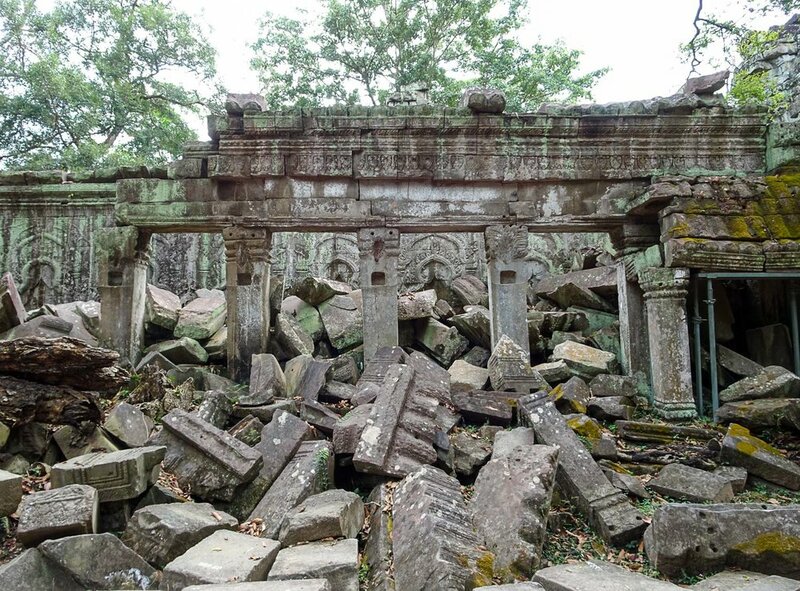 Each turn leads you to crumbled walls, broken statues, and towering trees that are actively reclaiming the temple. We decided to add a sunset stop to our Grand Tour which we ultimately regretted. Our TukTuk driver took us to the most popular sunset spot in Angkor, the mountaintop temple of Phnom Bakheng. The temple is small and the best spot for viewing the sunset is at the top. Unfortunately, this lack of space means only a certain amount of people can be up there at once so the line was already backed up by the time we arrived. This meant our sunset view was blocked by trees so we ultimately abandoned the effort and watched the sunset on our way back to Siem Reap. 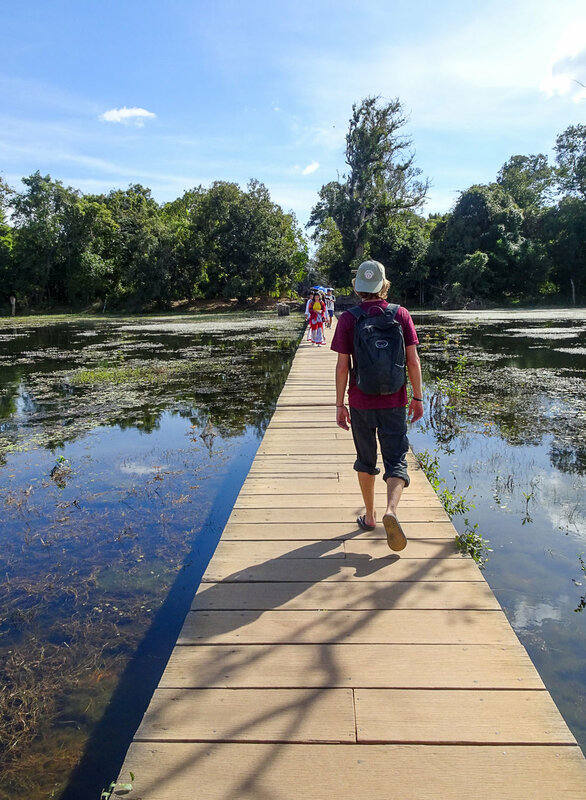 Bottom line: we recommend avoiding Phnom Bakheng at sunset and enjoying the hike and the views from the top when there are far fewer crowds to deal with. After getting our bearings thanks to the guided Tuk Tuk tour, we felt ready to tackle the area by bike. We found a standard bike rental (mountain bikes aren’t necessary but we did wish we’d had shocks for the potholes) for $2/bike for the whole day. This is the best budget option for touring, but you won’t be able to see as many temples unless you’re in great shape and get an early start ;). The bike ride from Siem Reap to Bayon took us about 30 minutes with the occasional stop. The road conditions are not the best and the traffic is wild, but overall it was a fun and adventurous experience! Bayon was one of our favorite temples that we visited. Known for the massive “head” carvings on the various towers of the temple, we were in awe of the detail and size as we explored the grounds. Bayon is also well-preserved so we could explore the labyrinth of hallways, towers, and viewpoints from the various floors of the temple. We ended our day with a visit to the MVP of the Angkor complex. 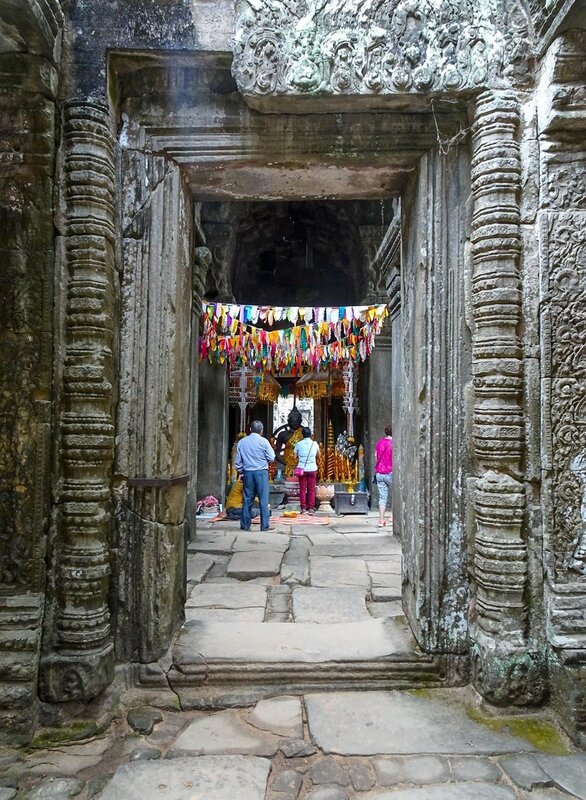 Angkor Wat is the largest and arguably the most impressive of the temples. We’d recommend taking at least a few hours to explore the sprawling grounds of the temple and its famous towers and shrines. Between the size of the temple and the panoramic views from the top, Angkor Wat lived up to the hype. We’ve also heard sunrise at Angkor Wat is the highlight for most travelers so be sure to add this to your itinerary if you can handle the crowds! This is another itinerary that can easily be done with a rental bike, but we opted for a Tuk Tuk to give ourselves a rest ;). We did not book this Tuk Tuk ahead of time and simply walked outside our hostel to ask for a ride. We ended up paying $12 for the round-trip tour which we found to be reasonable and a more affordable way to get the temples than the organized tours. 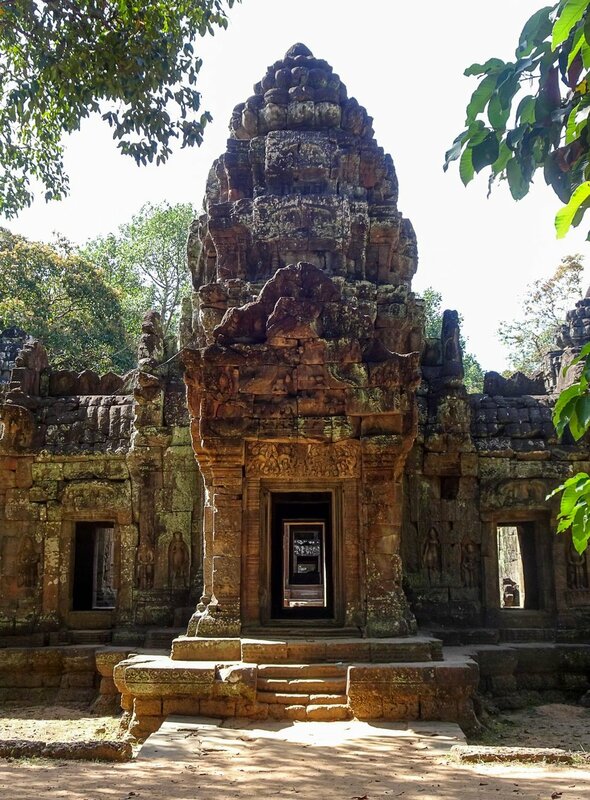 Our first stop was the sprawling temple of Banteay Kdei. 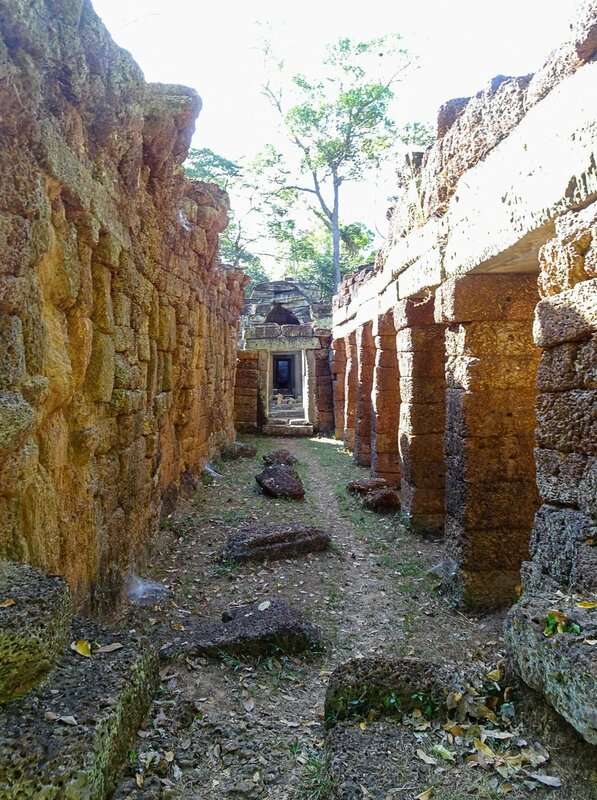 This temple reminded us of the massive ruins at Preah Khan and we had fun exploring the many hallways, rooms, and towers at Banteay Kdei. This was another temple that featured various entrances so we explored from east to west before meeting back up with our TukTuk. 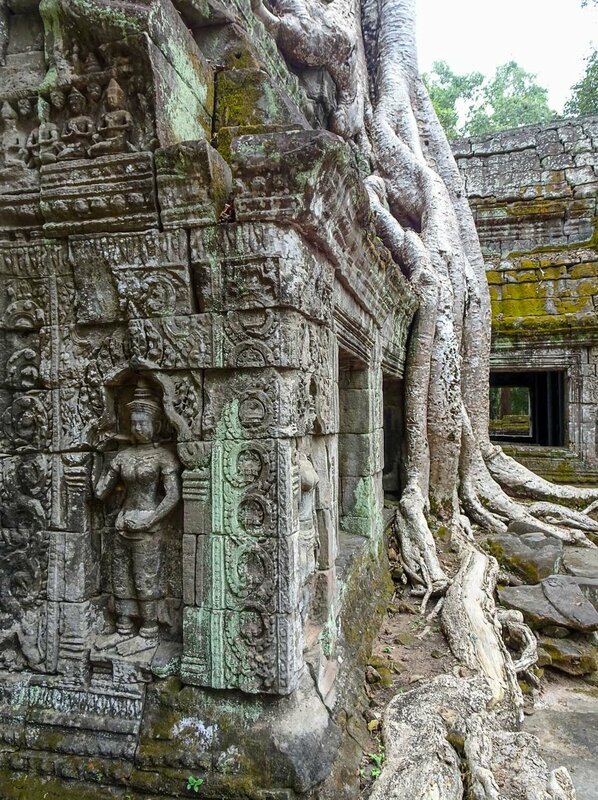 Ta Prohm was made famous by Angelina Jolie and the Tomb Raider Franchise. We encountered the most crowds at this temple, likely because of this, so we found it impressive but over-hyped. The highlights are easily the overgrown ruins which were made famous by the scenes in the movie. 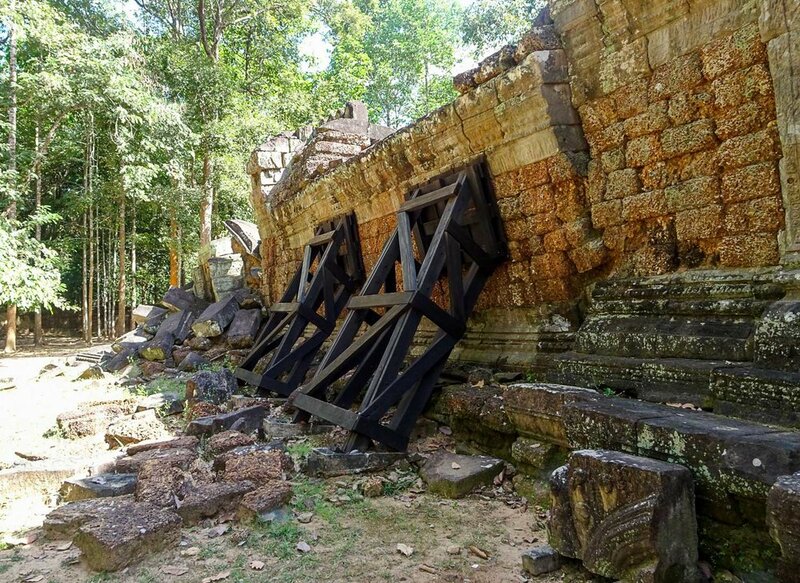 Luckily, its increased popularity led to many restoration projects around the site and we saw a few impressive “before and after” projects that help with the constant flow of tourists. Our final temple stop was Ta Keo, another impressive “tower temple” similar to Pre Rup and East Mebon. While we wouldn’t recommend ending with this temple, in particular, we did feel as though we’d come full circle in our explorations as we'd started and ended with similar architectural styles. We also got to take in our last panoramic view after climbing the steep steps to the top! Overall, Angkor Wat was everything we’d hoped it would be. 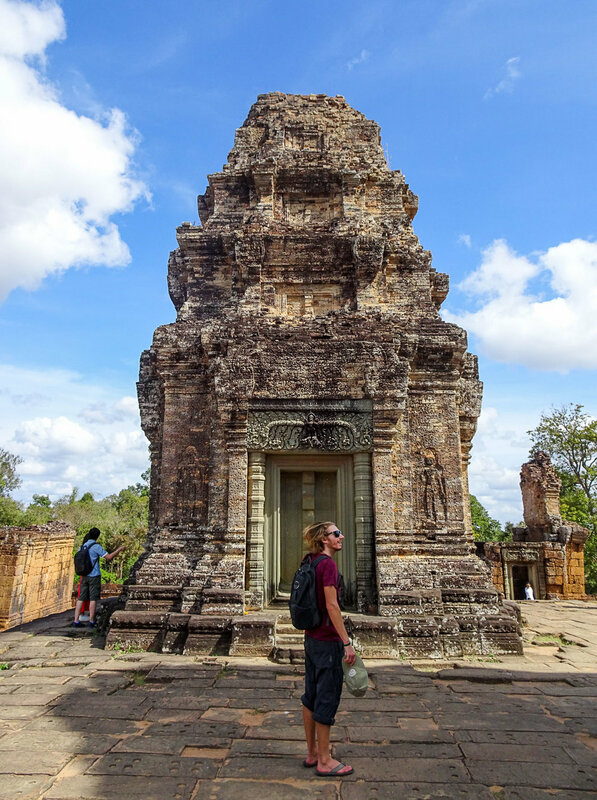 After three days of exploration, we both agree that it’s one of the most impressive historical sites we’ve ever visited and is a must-see for anyone visiting Cambodia or even Southeast Asia. We hope you enjoyed the billions of photos we took and can eventually see the ruins for yourself one day!